A custom e-commerce site with shopping cart using WordPress and Woocommerce. Made in the USA! Built in Madison, Wisconsin. 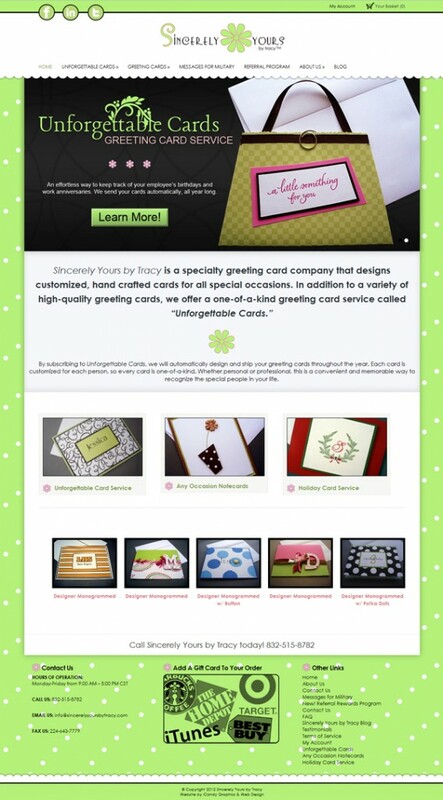 One of our favorite projects this year was working on the new website for Sincerely Yours by Tracy. They sell custom, personalized greeting cards and have a really cool greeting card service. 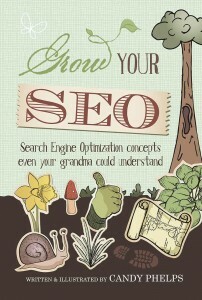 We love working on websites that allow us to have a little fun. It makes our job easier when designing a custom WordPress theme if the client has great photos and a lot of personality, which is true in both cases on this site! The main challenge in working on this web site was finding an efficient way to get about 150 products from the company’s old website to the new site without having to input them individually. They had already spent a lot of time over the years inputting new products with photos and descriptions, so we didn’t to have to redo all of those existing products. Our ever-clever web developer was able to convert the old Joomla database into a database that would work with our WordPress installation and shopping cart system (with some serious finagling). We were able to upload all the photos and data in one fell swoop! All of the information was extracted from the old site, saving the client major time and money. We worked some shopping cart magic with the custom greeting card service. The challenge here was that there are 10 options that the customer needed to be able to select, all which caused a different pricing outcomes in different combinations. Most website shopping carts are set up with a few options (for example if you need to offer shirt sizes or colors), but this many options is atypical. With some custom development and a plug-in extension for the WooCommerce shopping cart, we were able to accommodate the need for all these options. The price is recalculated with every option choice and when the customer is done, they add the card to the cart like any other product. Overcoming these ecommerce challenges was a fun adventure for us at iCandy Graphics & Web Design | Madison. Like any worthwhile website project, there were periods of stress eating and frantic database backings up, but that all happens behind the curtain of course. In the end, it was nothing but a pleasure to work with owner Tracy Weslager and the team at Sincerely Yours by Tracy on this unique website! Please check out their site and order some cards in time for the holidays!